ESTATE PLANNING IN THE UK in 2019 - The ultimate guide to help you. For many approaching later life, concern over the impact inheritance tax may have on their relatives is a very real and important issue. Estate planning provides a viable and sound way to prepare your finances to ensure that your assets are protected for your loved ones once you’re gone. Estate planning also helps you to avoid or reduce the amount of inheritance tax you’ll pay. There are other benefits to estate planning and consideration of later life finance – such as arranging a watertight will, understanding and outlining your wishes, making funeral plans and obtaining a clear and comprehensive view of your assets. At UK Care Guide we’re committed to providing sound, clear advice for individuals and their families who are considering later life finance and the costs of care provision. Here we explain how to prepare your finances in order to achieve the best possible outcome for you and your family after you pass away, and why estate planning and forward thinking are important as you approach later life. Inheritance tax thresholds – Inheritance tax is a tax paid upon death calculated against the value of your remaining assets over the amount of £325,000 –including property, belongings and savings. Inheritance tax rate – The current rate of inheritance tax stands at 40%. There are some concessions available – but it’s important not to count on those as they are often dependent on your situation, which is subject to change. Plan for the future – Inheritance tax rates and rules may also change over time. More and more people are looking to protect their assets against the impact of inheritance tax, enabling them to ensure that they can leave more to loved ones when they pass away. If your assets amount to £325,000 or more and you are concerned about how to protect property and finances such as savings and investments, organising estate planning as early as possible is essential. 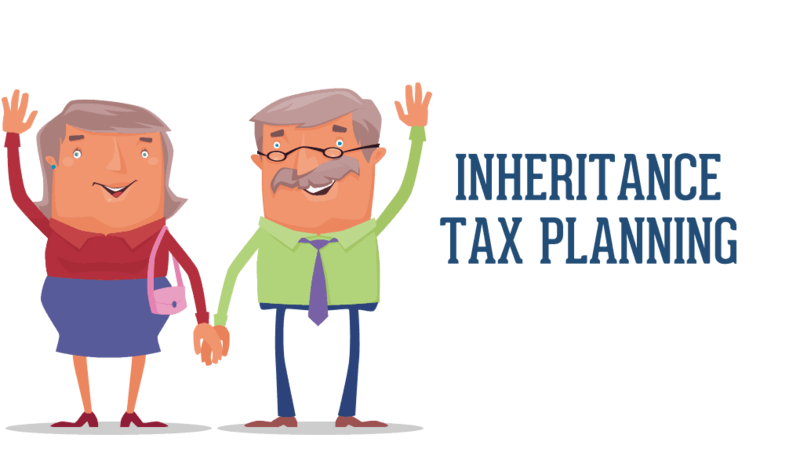 Here is a short video from Which explaining inheritance tax. What is estate planning – and why is it important? Estate planning enables you to put together a clear plan that details your wishes regarding how you’d like your estate to be managed upon your death. This will ensure that when the person looking after your estate applies for probate they will know what your wishes were. If you are looking at this after someone has died, we’d recommend that you read our guide which looks at all the things you should look at following a bereavement. This will prove to be incredibly helpful for you loved ones, who can then arrange your affairs accordingly. It also helps you to protect your family and any other beneficiaries from the impact of inheritance tax. When provisions aren’t made in advance inheritance tax can come as a nasty shock for family members. Fortunately however there are ways to protect your assets – provided you prepare in advance for the possibility of having to pay inheritance tax and make adequate arrangements. First and foremost, making a plan now offers you and your family complete peace of mind. The earlier you can start and make provisions for the future the better. It’s never nice to think about death and how you will arrange your affairs after you’re gone – but it’s crucial if you want to protect your assets from inheritance tax. When you consider estate planning early on you can be sure that your loved ones will be protected from inheritance tax. They’ll also have the freedom to carry out your wishes. Here is a really informative video from Moore and Smalley explaining the importance of estate planning. What does wills and estate planning involve? – Writing a will and making executors, family members and friends aware of it. – Making a comprehensive list of your assets and any debts. This list should include property assets, material assets and any savings or funds you will leave behind. – Planning and/or recording cash gifts you plan to give to protect against inheritance tax. – Making provisions for funeral expenses and outlining your wishes so that family and friends can make arrangements accordingly. Estate planning is one of the best ways to avoid paying too much inheritance tax. Gifts are one of the best and most efficient ways to avoid inheritance tax. If you can afford to do so, distributing money early on rather than waiting and leaving sums in your will is incredibly tax-efficient. This is because the overall amount of assets you leave behind (over £325,000) will be subject to inheritance tax. This is currently set at a rate of 40% – but this could rise unexpectedly. You are permitted to give cash gifts of up to £3,000 a year – so with forward planning you could give away a significant amount without having to pay tax. If you choose to give away more than £3,000 per year the additional amount will be subject to taxation. There are some types of gifts that are exempt from taxation altogether. These include gifts between spouses or civil partners, gifts to universities or charities (subject to qualification) and any gifts given over seven years before your death. Traditionally trust funds are set up to ring-fence assets for children and young people who aren’t yet financially independent. But trusts are also a fantastic way to reduce or avoid inheritance tax payments altogether. Trust funds are fully protected from inheritance tax and can be set up at any time. Trusts can be set up to provide advance payments drip-fed to family members to allow them to receive inheritance early. But trust funds also have benefits for those with life insurance policies, as they provide a significant amount of tax relief. Without trust funds in place your life insurance pay out is added to your estate and taxed. When your life insurance is set up in trust it cannot be included in any inheritance tax calculation. Spend within your means – saving for necessary future expenses whilst spending intelligently on items and experiences you will enjoy. Don’t forget to factor in necessary spending such as home improvements, mortgage payments, maintenance and other things you may need in the near or distant future such as a new car. Inheritance tax rules and regulations vary depending on your personal status. For instance, for married couples or those in civil partnership the threshold can potentially increase to double that of an individual – currently £650,000. Why is writing a will in conjunction with estate planning important? It is vitally important to write a will – even if you are very young and don’t have any health issues – as without one nobody can be sure of your final wishes. Being without a will also leaves you open to taxation and exploitation from relatives who may be entitled to take some or all of your assets against your wishes. Sitting down to write a will provides you with an opportunity to consider what you’d like to happen to your assets once you pass away. It also ensures that you nominate an individual or individuals to be in charge of carrying out your wishes – known as an executor. If you die without making a will (also known as ‘intestate’) arranging your assets and affairs will become very complicated for your family. Intestacy rules are incredibly complex. If a suitable beneficiary is not found the government may be entitled to seize the full amount of your assets upon your death. Several factors are in play – including your marital status, whereabouts you live in the UK and the value of your estate. 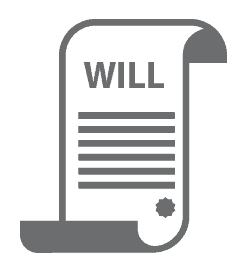 A will is therefore essential if you have clear wishes on how your assets are distributed after you pass away. You can leave property, money and personal items to named beneficiaries. However it’s important to bear in mind that without proper estate planning your relatives and assets may still be affected by inheritance tax. You can also leave gifts to charity in your will if you have a cause or causes you wish to support. Is specific estate planning advice based on my situation important? You may need tailored estate planning advice depending on the complexity of your situation. In most cases it is straightforward – but understanding the different options available to you and deciding which ones to choose can be a daunting and difficult task. Having a professional independent advisor on board can be incredibly useful for this reason. They will conduct a thorough review of your assets and situation, taking into account any investments, property, pensions, businesses, life insurance and savings. This enables them to acquire an accurate picture of your financial status and determine the impact inheritance tax may have on your estate. They’ll also take into account your future needs and personal preferences. An independent financial advisor will then work with you to discover the most effective way to protect your assets in order for you to pass them on to those you love. It is likely that they will put together a bespoke estate planning strategy that may include various trust funds, investment structures and policies to cover your assets completely. Don’t forget that as legislation does change you will need to arrange regular reviews with your financial advisor to ensure that your plans are still up to date and can still deliver for you when needed. It’s important to remember to consider the possible future need for (and cost of) care when estate planning. If you tie all your money up in trust funds or give it all away as gifts, you may find yourself without the funds to pay for care in the future. This is a difficult balance to achieve. Base your decision on realistic expectations, and assume that you may need some money set aside for care or additional support in the future. If you have ongoing health issues or an early diagnosis of a progressive disease such as Alzheimer’s, it’s especially prudent to get your finances in order now whilst you are of sound mind. It’s also key to make sensible and realistic provisions for the cost of care if it is likely that you’ll need support either at home or in the form of nursing or residential care. Where can I go for additional advice on estate planning? Speaking to an accredited later life financial advisor. As detailed above, a specialised advisor will be able to go through all available options with you and help you decide what is best for you. They’ll also help you to understand which options will achieve the best outcome for you and your family. They’ll take the time to listen to you and learn more about your situation and objectives before offering tailored advice. This can be particularly useful if your situation is complex or unusual. It’s also important if you have a diverse range of assets, or for high net worth individuals with high value assets. You can find a list of advisors in our financial advisor directory, which you can find here. Discussing estate planning with family and friends. Family and friends can be a great source of comfort and assistance when discussing sensitive and sometimes upsetting matters such as will writing and later life finance. Speak with loved ones you trust who can offer impartial and unbiased advice. They can look through the options with you and can find resources you can look through together. They may also accompany you to meetings with a financial advisor for moral support. Let UK Care Guide help you. Need further advice and support? We’re here to help. Leave your details below and we will arrange for an estate planning expert to contact you. This is a FREE service that we offer our website users. 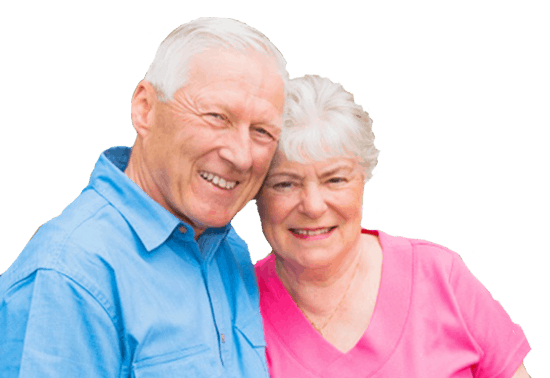 Estate Planning is one of the most important things you can do for your loved one's. Getting it right is essential and you should always use professional help. This ensures yours wishes are carried out exactly as you want them to be. The UK Care Guide has created a list of specialists that are able to support you in this area. Click the link below to see who can help you in your area. Are you loooking to undertake some ESTATE PLANNING and protect your assets? If so, click here to find a list of the leading UK specialists in this area.